Looking for a trimmer taco stuffer? Swap beef for my lentil-bean taco “meat.” It’s loaded with fiber, protein and flavor! It’s also delicious on top of salad greens. Whip it up for your next Taco Tuesday night. Add lentils and water to a large pot and cook until tender, about 30 to 40 minutes. Toast walnuts on a baking sheet for about 10 minutes. Set aside. Drain lentils. Pulse lentils and beans in a food processor but be careful not to puree. (Alternatively, you can mash the lentils and beans by hand.) Add lentil-bean mixture to a sauté pan liberally coated with oil spray and warm over low heat. Add taco seasoning and nuts. Stir gently to combine until mixture is warm. 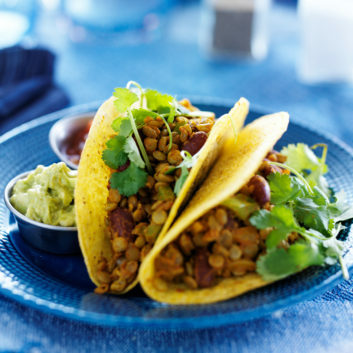 Add lentil-bean taco “meat” to hard or soft taco shells, and add preferred toppings, such as lettuce, tomato, avocado and low-fat Greek yogurt. 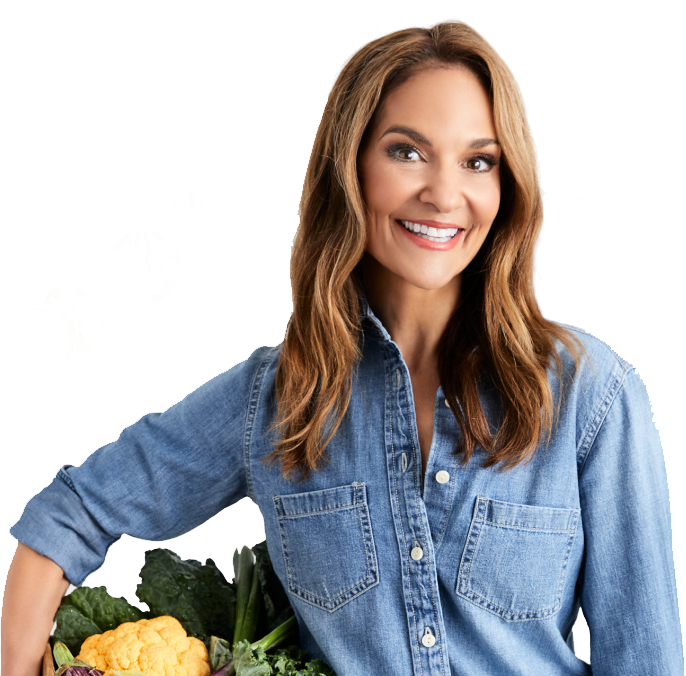 For more healthy recipes, follow Joy on Twitter, Facebook and Pinterest.